Every person has a unique, interesting story that is worthy of telling. Grace Westfall’s story is one of kindness, the bravery it takes to be unique, and a lot of singing. “She is very kind hearted and I feel like she cares about everybody. She tries to put other people before herself,” junior Gabi Gray said. Westfall is also a hard worker. Westfall works at the B&B Theaters in Liberty and was one of the only teenage workers to be picked to work in the new theater. She chose work over doing the school musical this year. “I love my job! 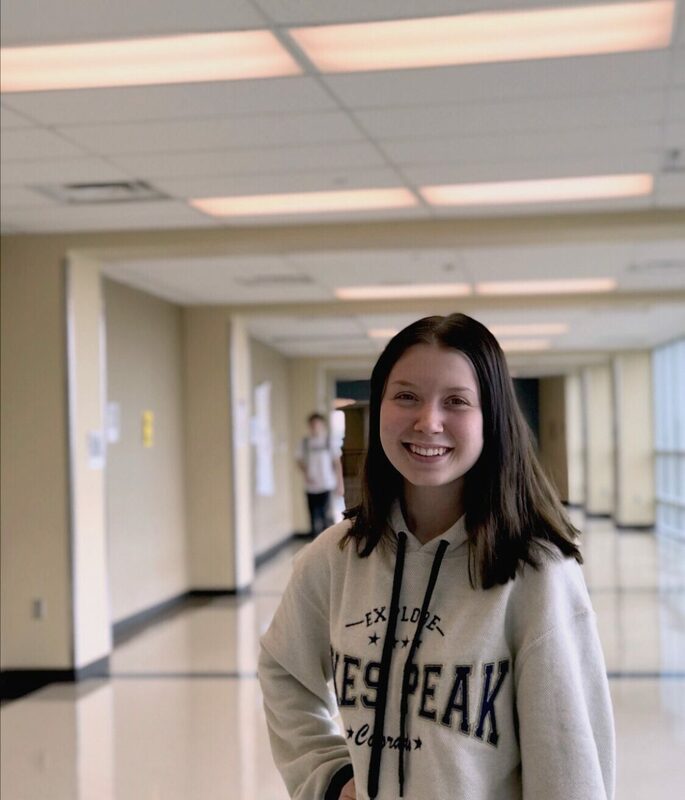 We have a lot of fun, so I chose to continue to move up at work over the stress of a musical this year, though I love that too,” junior Grace Westfall said. She will still be involved in the musical and will be doing hair and makeup for the actors. Westfall is also very involved in choir and dedicated to making the choir the best it can be. “When I made chamber my sophomore year it was really special and made me realize I might actually be good at this singing thing,” Westfall said. Westfall takes vocal lessons, loves classical music, and wants to be a music education teacher for middle schoolers. “I want to teach middle schoolers to be more excited about high school choir,” Westfall said. Westfall’s friends love her singing. “She’s super talented. She sings all the time and is very passionate about it and I can see that in her when she talks about it,” Gray said. “I care more about being true to myself than what other people say about me, you know?” Westfall said. Westfall has been dating junior Harrison Schubert for 9 months. “She’s different from other people, she’s a lot nicer and funnier than most people and is always is trying to find the brighter side of a situation, she’s very much an optimist,” Schubert said.